The 35 kilometer race will cover the trace ancient pilgrims trekked from the sacred Minoan Palace at Knossos to the summit of Mt. Psiloritis (Mt. Ida), where they honored their god, Zeus Cretagenes. For those sportspersons unfamiliar, legend holds that Zeus was raised on Psiloritis in and around the now famous Ideon Cave. The mountain race is an annual event that offers a unique endurance experience for men and women racers amid the epic landscapes of Crete. 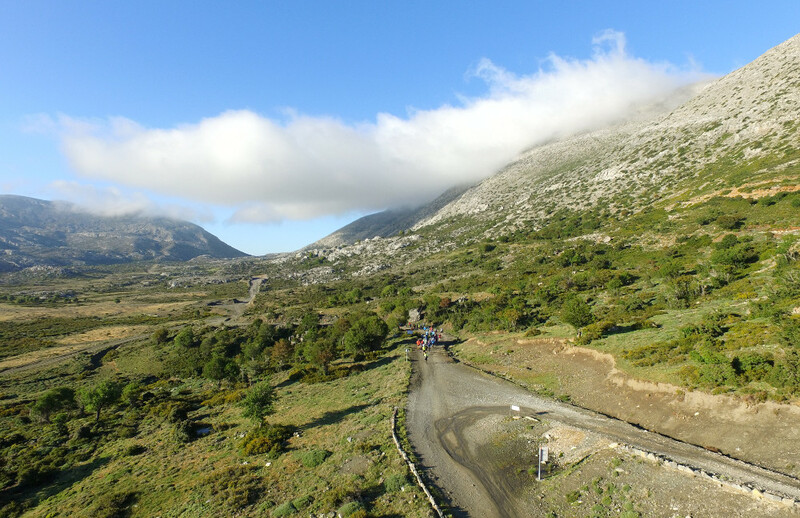 For the experienced mountain racer, Crete has no rival for magic landscapes or challenges under foot. The legendary land of the Minoans is epic, and so is the Psiloritis Race. There will also be a 8.5K Race that starts at “Platania Amariou” and winds through olive groves and vineyards to reach the historic center of Amari in Kouroutes Fourfouras. A kids 2k race and many other events are scheduled as well. The deadline for registration is May 19th, but for more information and detail please call: +30 6978 524 433 Or email: info[@]runningreece.com. Interested racers and spectators may also follow the Race Psiloritis on Facebook here.